The album begins with a lovely arrangement of Bach’s “Jesu, Joy of Man’s Desiring.” This version is uncluttered and has an easy flow that allows the gentle melody to really sing. “Dressed In White” is a love song that overflows with tenderness and longing and would be a graceful prelude to the ceremony. “Romanze (Canon in D)” has snippets of the venerable Pachelbel Canon woven throughout the piece, but you have to listen for them. Wagner’s “Bridal March” has to be one of the most-recognized pieces of music in Western culture and can be cloying in the wrong hands. 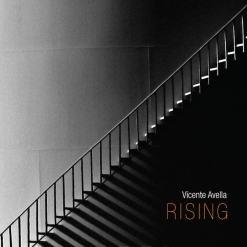 Avella has given it a graceful contemporary setting that works beautifully, keeping the traditional melody intact while updating it with a fresh new setting. The intro to Beethoven’s “Ode to Joy” contains the melody of this classic, but after that, phrases from the original piece pop up here and there. A bit more lively than some of the other tracks, it is subtle enough to use as a quiet background piece during the ceremony. 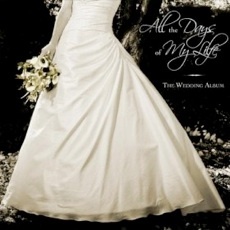 The title track is another original composition, this time conveying the promise of wedding vows with confidence and deep emotion - a favorite. “Romanze (Reprise)” clocks in at just over a minute, restating a few of the themes from the first “Romanze.” “The One I Love” has a slightly haunting quality, alternating between major and minor modes - I like this one a lot, too. Schubert’s “Ave Maria” is another universally-recognized theme, and Avella’s update is a fitting and appropriate treatment of one of the most beautiful melodies ever composed. His arrangement of Vivaldi’s “Spring” is lively and joyous, but still gentle and quiet. Mendelssohn’s “Wedding March” is often used as the recessional to the wedding ceremony, and the traditional arrangements are usually very big and triumphant. This one is slower and much quieter, building slowly to a peak and then fading back to a subdued ending. It’s different, but also quite lovely. 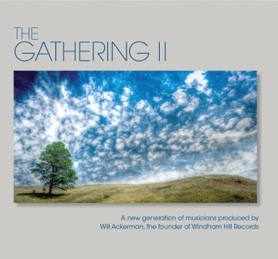 All The Days Of My Life is an impressive project, and I can see why Will Ackerman (founder of Windham Hill Music) was enthusiastic about producing it. The album is available from www.vicenteavella.com, Amazon, iTunes, and CD Baby. Recommended!! !